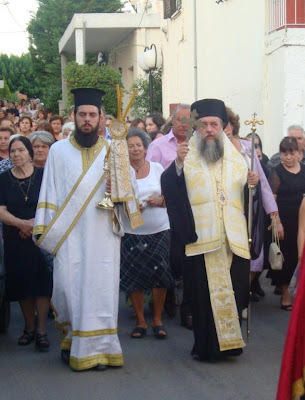 According to witness testimony of those who live in the village of Polydendri in Attica, which were compiled by the parish priest there in 1986, in 1917 an epidemic struck the village, as well as a great blessing. Many became sick that year and eight died, with others on the verge of death. Two of those who died were from the village of Grammatiko, which was in east Attica, so it was theorized that the epidemic originated there. Everyone panicked. Many took to the mountains. Officers quarantined homes and the surrounding roads in which the sick were found. Some guarded the wells and fountains of the center to prevent the sick from contaminating the water. The unfortunate sick would have to go to a tank outside the village to get water. The church would not allow to be read the funeral service for the dead, however the parish priest of the village, Papa-Yiannis Tsakos, did perform funerals privately. One elder gentleman stated: "One of the dead I dragged from the house to the church, at night, and we buried him. After I took his cloak I slept, but did not catch the illness." Over the graves they would spread lime to prevent the epidemic from spreading. 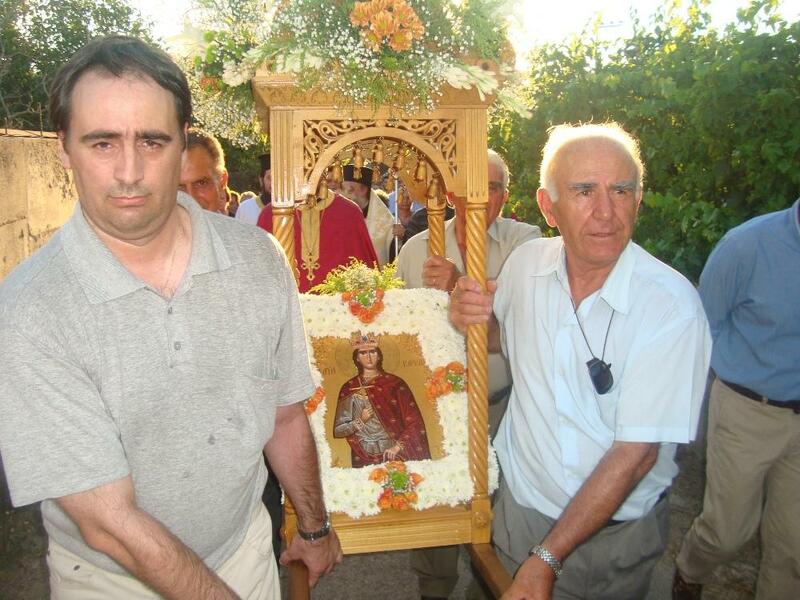 In this atmosphere of panic and despair, according to Anna Vasilakou who was ten years old at the time, Panagiotis Spyridon Sotirchos had a vision at the iconostasis of the church of St. Barbara, who told him: "Come and get me so that I can chase away the sickness." Then Papa-Yianni with the commissioners of the church went to Aigaleo, to the Church of St. Barbara, and from there brought by car the wonderworking icon of the Saint to the intersection of the village. There the Christians received her with emotion, reverence and tears, and the whole road was covered with laurels. They fell before the icon crying: "Help us St. Barbara! Chase away the sickness!" They then processed the icon around the village, and the great miracle occurred. The epidemic ceased! Not only did not another get sick, but all the sick became well. Since then, out of gratitude, the villagers of Polydendri established a feast to commemorate this miracle of St. Barbara. An icon of St. Barbara was commissioned for the village, and she is celebrated every July 15th.